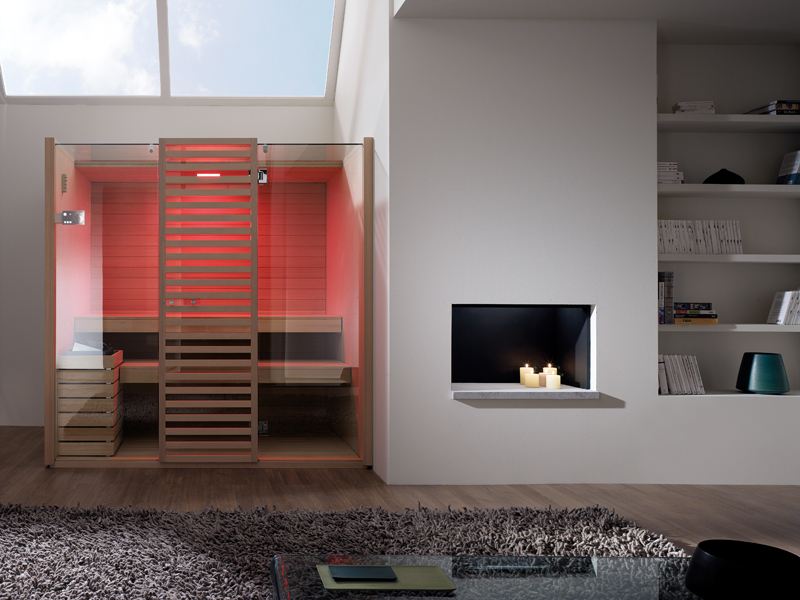 Sky is the new line of saunas created by Talocci Design for Effegibi, a welljudged combination of technology and style. The simple lines have transformed the sauna into an item of furniture styled to fit attractively into any part of the home. 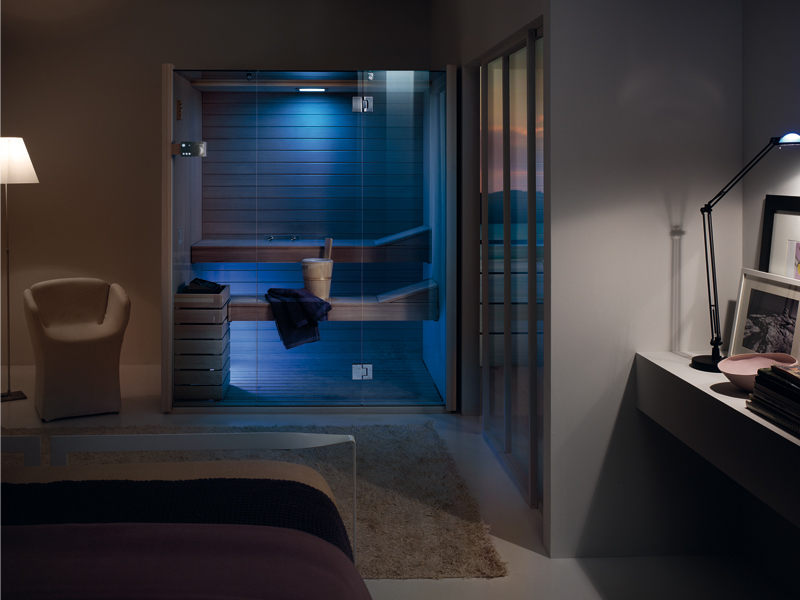 The clear glass reaching up to the ceiling fills your sauna with light, giving you wellbeing and relaxation in an atmosphere of freedom and lightness.